Corvina REX Frescamar has been present at the Hospitality and Catering Fair that Makro Portugal organizes annually for its customers. In the section dedicated to the Fishmongers category, Corvina REX has been part of a wide range of products from the sea. An attractive display in which Makro has exhibited the freshness and variety of its offer. 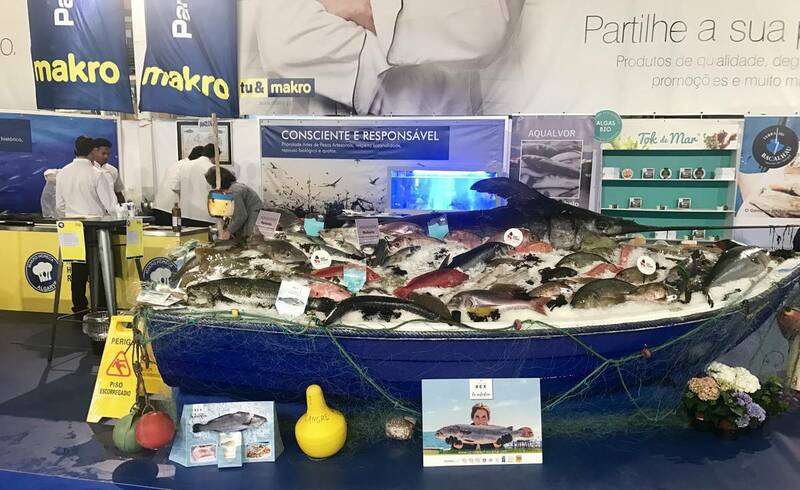 The event took place in the Algarve region, specifically in the store that Makro has in the coastal town of Albufeira, and has counted with the participation of thousands of people throughout two intense days of activities. The stellar collaboration of chefs from Michelin stars Portuguese restaurants such as São Gabriel, Bon Bon or Vista, among others, has been completed with an interesting masterclass on the “Ike Jime” sacrifice technique by chef Miguel Bértolo, recently distinguished with the World Sushi Cup 2nd place. In short, a meeting in which professionals and gastronomy lovers have been able to closely learn about the latest innovations in food products, services and techniques of such an amazing large distribution chain, MAKRO, and the Portuguese culinary talent, with special emphasis on the products from the sea.